To explain where we are today though, we first have to dig further back into history. 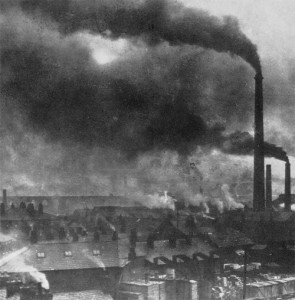 Pollution in the late 19th century. In the late 1800s, fossil fuels exploded in popularity and ignited the Industrial Revolution. Clouds of haze hung over cities that were particularly booming, with hardly anyone giving it a second thought. But as time went on the haze increased, and many cities experienced periods of extreme air pollution that were ultimately linked to spikes in hospitalizations and death. As a result, groups formed with the intent of measuring the correlation between “urban fog” and death rates, but efforts to actually regulate emissions were limited and mostly ineffective until the 1960s, when the United States began to take note of environmental issues at a national level. In response to that public awareness, the Environmental Protection Agency was created. When establishing the EPA, Congress designated common air pollutants to be of special concern nation-wide. The EPA currently regulates six of those pollutants: Particulate matter (PM), ozone, sulfur oxides, nitrogen oxides, carbon monoxide, and lead. By the 1990s industrial emissions had improved significantly, but studies began to show that a specific class of small, inhalable particulate matter called “PM2.5” was a health concern at levels once thought to be safe. This led to the EPA establishing standards for allowable levels of PM2.5 in the environment. What exactly is particulate matter, and why is it important? “Particulate Matter” (PM) is a mixture of solid particles and liquid droplets found in the air and can be composed of many types of materials and chemicals. PM can be found in natural processes like forest fires and wind erosion, or from human practices such as agriculture, industry, traffic, and wood stove use. In fact, according to the 2008 National Emissions Inventory, residential wood combustion is one of the five largest contributors to PM emissions. 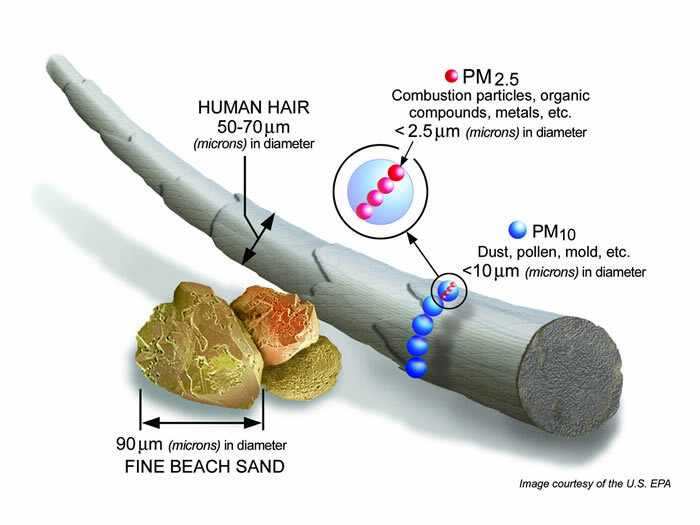 Particulate matter (PM) is a broad term that describes many dangerous materials, but the one of most concern to users of wood heat is PM2.5. PM2.5 is a form of fine particulate matter that is less than 2.5 micrometers in diameter, found in haze or smoke like that produced by wood stoves (along with carbon monoxide, VOC, and other toxic air pollutants). PM2.5 particles are small enough to be inhaled, allowing them to get deep into the lung and can cause burning eyes, runny noses, and serious respiratory issues such as asthma attacks or heart attacks. In a residential area with many wood heating appliances, the level of PM2.5 in the atmosphere can reach unhealthy levels, and each year smoke from wood heaters produces thousands of tons of fine particles throughout the country – mostly during the winter months. 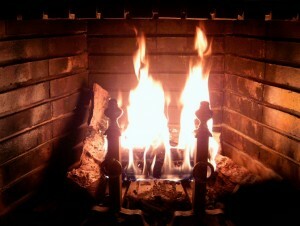 In 2008 alone, residential wood combustion was responsible for roughly 318,000 tons of pollutants in the form of PM2.5. For comparison, wildfires in the U.S. during 2008 consumed a combined total of 5.29 million acres and were responsible for roughly 998,000 tons of PM2.5, which means the amount of PM2.5 released by residential wood heaters in 2008 was roughly equal to that released by a single 1.6 million acre wildfire. 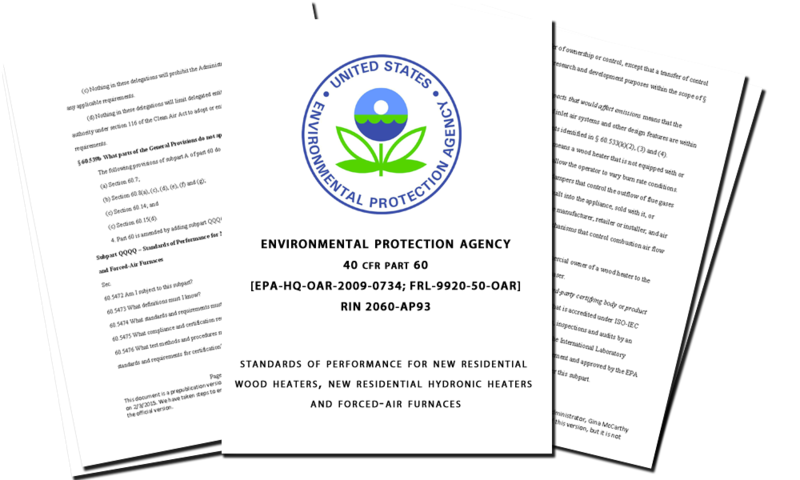 After researching the risks of particulate matter emissions the EPA, as part of the Clean Air Act, implemented the New Source Performance Standard (NSPS) for residential wood heaters. The purpose of the NSPS has been to set regulations for the manufacture and sale of wood stoves, as well as certain wood burning fireplace inserts. The NSPS was first established in 1988, but in 2009 the EPA began reviewing its regulations and found that many technological improvements had been made over the past 21 years, improvements that would allow for better control of emissions from wood heaters. 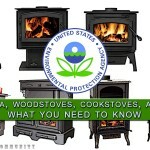 The review concluded on February 3, 2015 when the EPA released the revised NSPS for residential wood heaters. Now, what does all this mean to you? 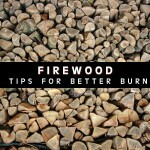 If you’re using wood heat, it means you should be aware of the emissions your stove produces. 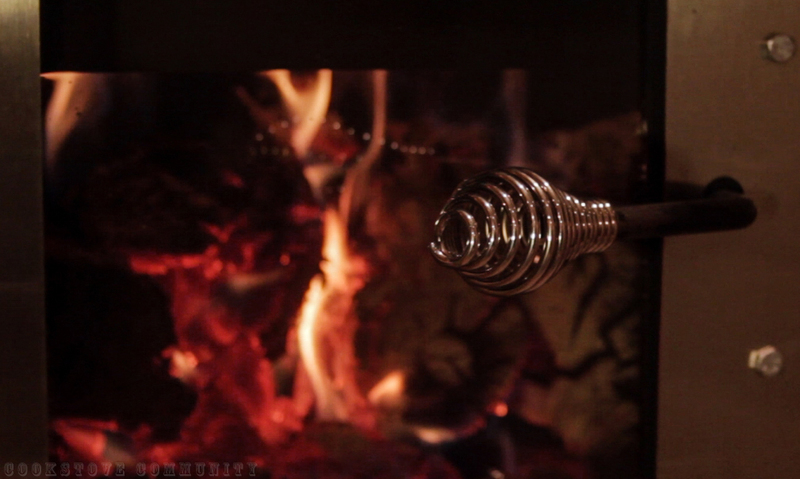 The New Source Performance Standard affects all wood heaters, but for the sake of this article, we’ll just be focusing on wood stoves and wood cookstoves. If you’d like to learn more about how the NSPS affects other heaters such as boilers and fireplaces, check out the links at the bottom of this article or click here to view the NSPS in its entirety (also available as a .PDF, here). First, it’s important to understand that while the NSPS is federal regulation, it does not in itself impose any requirements on state and local governments. However, the contents of the NSPS are part of the Clean Air Act, and that act requires each state to have a plan to maintain the National Ambient Air Quality Standard (NAAQS). 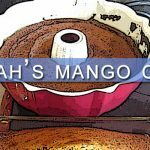 Because states are not allowed to have emission limits weaker than those set in the NAAQS, the limits found in your state’s laws will be at least equal to what the EPA wood stove regulations are. Some states such as Washington, Vermont, and New York, even have regulations that are stricter than those set by the EPA. In discussing the Clean Air Act’s overall function, EPA spokesperson Lisa Conner states, “The emission guidelines found in the NSPS generally constitute the goal that states have to meet when developing standards for existing sources.” But while many states use the regulations in the NSPS as a guideline for determining air quality laws, you may find that the best stove for you has a legal, acceptable amount of PM emissions without being EPA-certified. 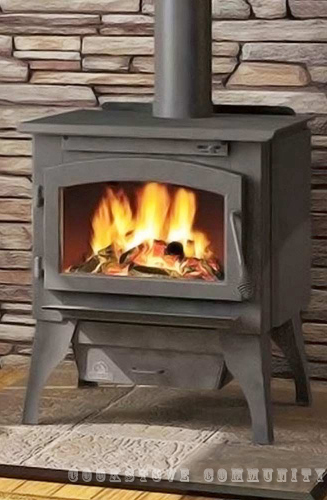 When it comes to owning a wood stove, it’s pretty straightforward: Check what local laws and regulations apply to you, then start looking for the kind of stove that best suits your needs. 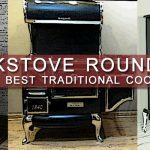 The Hearth, Patio, & Barbeque Association is a great resource for finding hearth dealers near you, and if you’re specifically in search of an EPA-certified stove, you can find a list of all qualifying stoves (as of January 2015) via the EPA. As far as owning a cookstove, you should still consult local laws & regulations first, but keep in mind that cookstoves are exempt from the emission limits set by the NSPS for wood heaters. 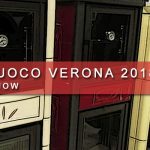 The EPA views cookstoves as cooking devices, so if you’re looking at purchasing a stove that meets the EPA’s definition of a cookstove (more on that definition ahead) you are not subject to the emission limits for wood stoves. Most importantly, be sure to consult your owner’s manual prior to burning whatever stove you choose. 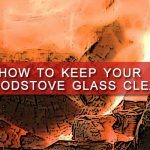 Burning improper fuel (unseasoned wood, garbage, lawn clippings, manure, etc) can void your warranty at the very least, and damage your stove, your home, or your health at worst. On May 15, 2015, Step 1 of the NSPS will go into effect (and stay in effect until 2020). Any EPA-certified stove manufactured on or after that day is required to adhere to the 4.5g/hr emission limit. Retailers will be allowed to sell EPA-certified stoves that do not comply with the new Step 1 emissions until 12/31/2015. Before this revision, the NSPS stated that in order for a stove to be EPA-certified, a catalytic stove must produce no more than 4.5 grams/hour of particulate matter, and a non-catalytic stove must produce no more than 7.5 grams/hour. The revised NSPS provides a single standard under Step 1 for catalytic, non-catalytic, and hybrid heater systems “so as not to restrict open market competition” (NSPS 26). “…We have determined that we do not have sufficient data at this time to support a regulatory requirement for cord wood testing (other than for forced-air furnaces), but rather will allow an alternative compliance option for cord wood testing. … We will consider alternative cord wood test method requests on a case-by-case basis until we are convinced that improved test methods have been sufficiently demonstrated that they can be relied upon for regulatory purposes. … We expect that within the next few years we will receive enough cord wood test data to establish revised certification requirements based on cord wood testing” (NSPS 55). Why did the EPA choose these standards? In regards to Step 1, the NSPS says data from the HPBA indicated that as of 2010 “at least 90 percent (130 out of 145 catalytic, non-catalytic and pellet stoves combined) already meet the Step 1 PM emission limit” (NSPS 88). Basically, the EPA feels 4.5 g/hr is an easy goal to reach for the majority of stoves. 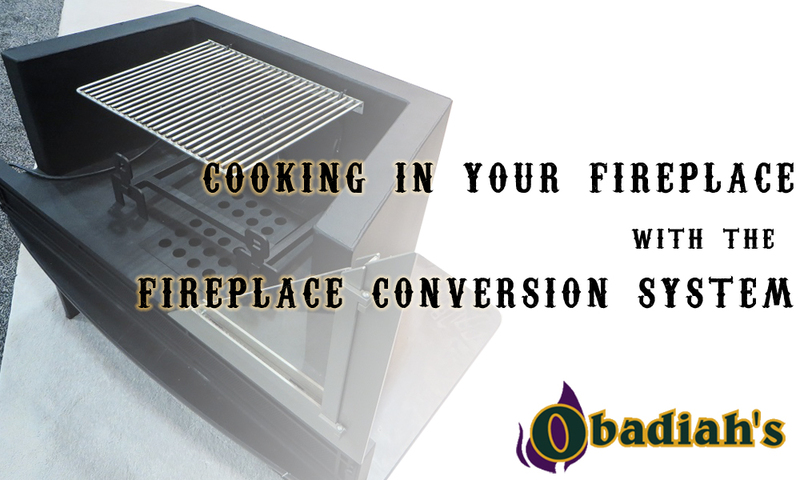 If a stove is EPA-certified with the 1988 NSPS emission limit, it is automatically certified until Step 2 takes effect in 2020, with no separate certification required. The EPA believes that “this automatic certification will avoid unnecessary economic impacts on those manufacturers (over 90 percent are small businesses) who can then focus their efforts on developing a full range of cleaner models that meet Step 2 emission levels. This measure should also help avoid potential delays at laboratories conducting certification testing for heaters newly subject to the NSPS” (NSPS 24). As with the previous version of the NSPS, manufacturers applying for EPA-certification “are still required to have quality assurance programs to ensure that all heaters within a model line conform to the certified design and meet the applicable emission limits, and the EPA will continue to have the authority to conduct audits to ensure compliance” (NSPS 19). Again, please note that it is legal to sell or own a stove that is not EPA-certified, and that it is only illegal to operate a stove that does not comply with state or city air quality laws. 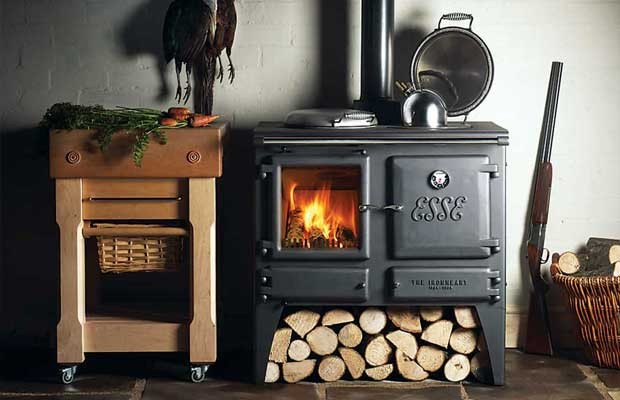 The Esse Ironheart Wood Cookstove. 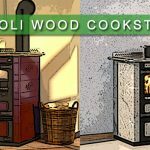 If a cookstove meets the above definition, it is exempt from the emission limits of wood stoves, and does not require EPA notification or public notice of that exemption. 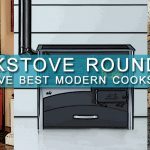 While the EPA has ruled that cookstoves are exempt from emission regulations, any state can still define their own regulations, as long as those regulations are equal to or greater than the EPA’s wood stove regulations. 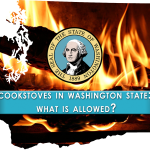 The state of Washington is well-known for having much stricter regulations than most states and it can be confusing for residents trying to understand what types of stoves are allowed. 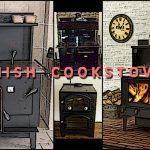 If you’re a Washington state resident, please read this post explaining how Washington’s laws affect your choice of cookstove. The benefits of the New Source Performance Standard for wood heaters has been subject to debate since its inception in 1988, with the revised EPA wood stove regulations stirring things up once again. 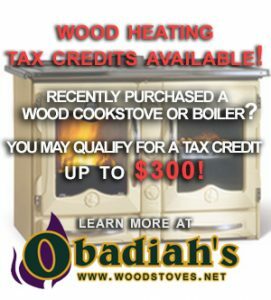 The EPA’s research shows that the health benefits associated with these new regulations are substantially greater than the cost to manufacture cleaner, lower-emitting appliances: By setting emission standards for wood heaters to 2.0g/hr after 2020, PM2.5 emissions will be reduced by an estimated 10,000 tons a year and public air quality will greatly improve- a vital mission as energy demands in the United States grow with an increasing population. Since monitoring of PM emissions began in 2000, the EPA has seen an 11% decline in national levels of PM2.5, with a reduction of 1 million tons of PM2.5 in the last ten years alone. CO2 emissions and the other common pollutants that the EPA monitors have also all seen a steady decline in the last five years. 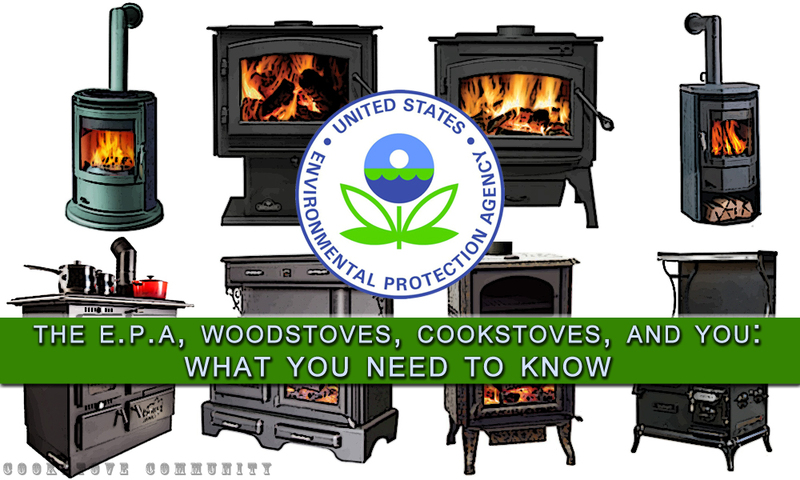 Whatever the case may be, whether you’re manufacturing stoves, selling them, or just enjoying the benefits of a warm fire, understanding the EPA’s wood stove regulations and how your state interprets them will go a long ways towards helping you get the most out of wood heat. 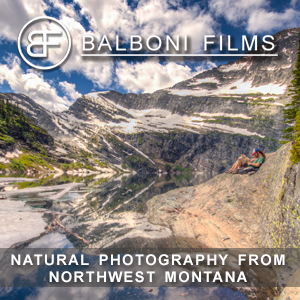 – This post has been updated to include the NSPS’s official publication date on 3/16/2015, which determines when emission limits go into effect.